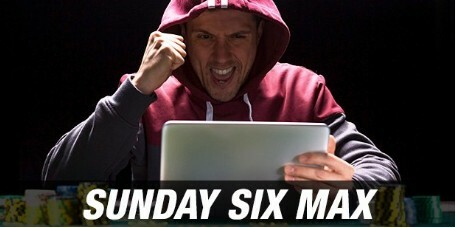 Welcome to the Sunday Six Max, new six-handed tournament series! Intertop's family of tournaments is growing every day but many players have asked to come up with a more aggressive tournament structure for to have more action going on. Well, take a look, you won’t be disappointed! Just go to the Poker tournament lobby and buy-in in directly to The Sunday Six Max, choose from the $200 GTD, $550 GTD or $1200 GTD. Over the last months many players have come up with interesting suggestions for new tournaments and we have decided to give one a try. So here it is, the latest addition to Intertops' tournament family and we hope you will have a lot of fun. Designed to get players in the right mood after a hard day’s work, this tournament will run from Monday to Saturday, starting time 7:15 pm EST. So six times a week players will have the chance to grab their share of $1,500 GTD! Open your poker client, go the tournament lobby and buy-in directly to the The Sundowner $1,500 GTD for $50+$5. For more information just check the offered tourneys in your poker client. Following the success of Intertops' Sunday $5K GTD, decision was made that it’s time to create another Sunday GTD tournament for your pleasure. Grab your share of $1,000 in this re-entry tournament which has the same structure as its ‘bigger brother’ and will start Sundays at 5pm EST. Sharpen your poker skills and enjoy another big stack Sunday tourney at Intertops Poker! Buy in directly or just play the related tournaments to get your seat. Buy-in directly to the $1,000 GTD Sunday Special or qualify through various satellites. Add value to your gaming by simply making a deposit this month! Every player who makes a deposit at Intertops in the current month will qualify for the $1,000 Depositor Freeroll. - Tickets: Issued at least two days before the tournament starts. Make a deposit (minimum of $25) this current month and play Poker at Intertops. 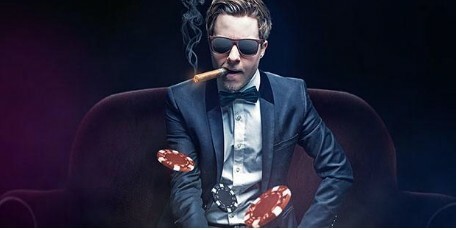 Simply download poker software and register a free account. Details for these tournaments can be found in the tournament lobby once the tournaments are announced. Intertops also offers Extra Freerolls every month, where winners can win pure cash. Details for these tournaments can be found in the tournament lobby once the tournaments are announced. Freeroll prizes awarded based on regular tournament pay-out structure.